It’s not just about the puzzles. It’s about the mind-bending journey. The mission failed. 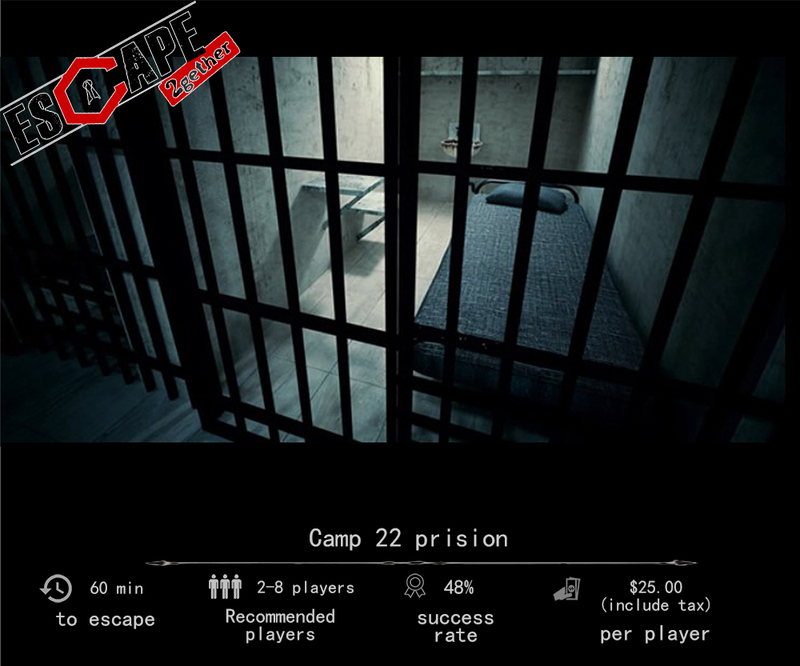 Your captain is captured and placed in the world’s most notorious prison, Camp 22. It is impossible for your team to rescue him because no one has details of the prison’s location, structure, and guard troops. Your team volunteered to get caught so you can help him escape from the prison. With no contact to the outside, can you successfully save yourselves? The infamous performance of the Mad Magician in 1970’s made headlines across the country. During a routine show, the magician called one of his good friends – scientist Dr. Roberts to assist him with a magic trick. Dr. Roberts vanished and was found days later with everything in place aside from his own heart. You are one of the detectives sent to investigate this and you only have an hour backstage before the magician returns to finish his work... Can you solve this mystery, or will you be next?